Three Ashland University students -- Katie McVay, Ashley (Calhoon) McCorkle and Beau Carpenter -- received degrees at Winter Commencement on Dec. 14 as the first graduates of Ashland University’s new accelerated BSBA/MBA accounting program. McVay of Fresno, Ohio; McCorkle of Butler, Ohio; and Carpenter of Marshallville, Ohio, all received Bachelor of Science degrees in accounting as well as MBA degrees in executive management with an accounting specialization after they finished AU’s new program that allows accounting majors to complete both a bachelor’s degree and an MBA in five years or less. All three have accepted accounting jobs and speak highly of AU’s new program. McVay said the accelerated accounting program also allows students to dig into topics deeper than what can be covered in the undergraduate level courses and explore other areas of accounting, such as governmental accounting. Once McVay completed her coursework in August, she accepted a position of assistant auditor with Ohio Auditor of State Dave Yost. “By having my MBA and being a previous intern, I immediately received my first promotion and have been working in Coshocton and Tuscarawas Counties since September,” she said. McCorkle agreed, noting that the accelerated program was right for her for several reasons. She noted that another reason the program was right for her was the “one-stop shop” aspect. McCorkle said the preparation for the work force was another reason the program was right for her. “Success is driven by pure motivation and talent. Participating in MBA classes with other seasoned and hard-working individuals developed my team work abilities and communication skills,” she said. McCorkle has taken a position as commercial credit analyst for First Knox National Bank, a division of the Park National Bank, which consists of 11 community banking divisions across Ohio and two specialty finance companies. Park National Corp. is a $6.6 billion bank holding company headquartered in Newark, Ohio. Carpenter said he was intrigued when he first heard about the opportunity to enroll in Ashland University's new Accelerated BSBA/MBA Accounting Program. Carpenter said he believes the courses offered and knowledge gained from the faculty in the program will be invaluable in helping him achieve his professional goals. Carpenter is currently employed with The Goodyear Tire & Rubber Company in its finance and accounting development program. 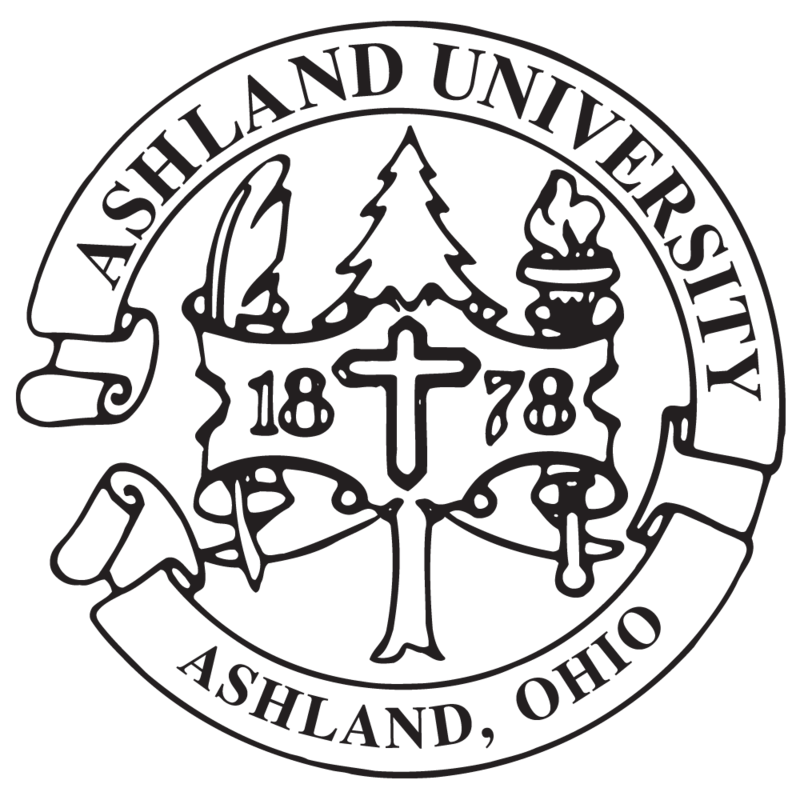 Dr. Kris Parsons, associate professor of accounting and chair of the accounting and information systems department at Ashland, said the new program, established in 2012, is very appealing for cost-conscious students because it allows them to earn both degrees in less time and for less money. Parsons said the accelerated degree program is geared to students who are comfortable with an academic challenge. The program is also designed to include a one-semester internship. “The program is designed to provide the student with the necessary accounting courses and the 150-credit hours many states require before a candidate is qualified to take the Certified Public Accounting (CPA) exam,” she said. Parsons emphasized the importance of providing students with multiple career opportunities in accounting. While the curriculum prepares students for careers as CPAs, students can also choose to pursue the coursework that will prepare them for careers as Certified Management Accountants (CMAs), Certified Fraud Examiners (CFEs), and Certified Internal Auditors (CIAs). “Also, the program will build on the undergraduate accounting experience by using graduate courses to develop broader and deeper technical accounting knowledge and enhanced communication and problem-solving skills necessary for success in professional accountancy and business,” she said. Photo Caption: Ashley (Calhoon) McCorkle, at left, talks with Katie McVay and Beau Carpenter during the procession lineup prior to Ashland University's Commencement ceremony held on Dec. 14. The three received degrees as the first graduates of AU's new accelerated BSBA/MBA accounting program.